O.G. Skunk (aka The OG #18 x Skunk) produces a good yield. She is not the heaviest feeders so don’t overdo the nutrients. The taste is that of fuely, sour, with a little bit of fruit. The high is strong and clear headed. She is tall with nice nugs and fairly easy to trim as there is good calyx to leaf ratio. 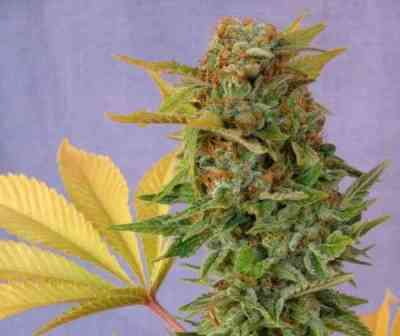 This strain helps with pain relief and is uplifting.